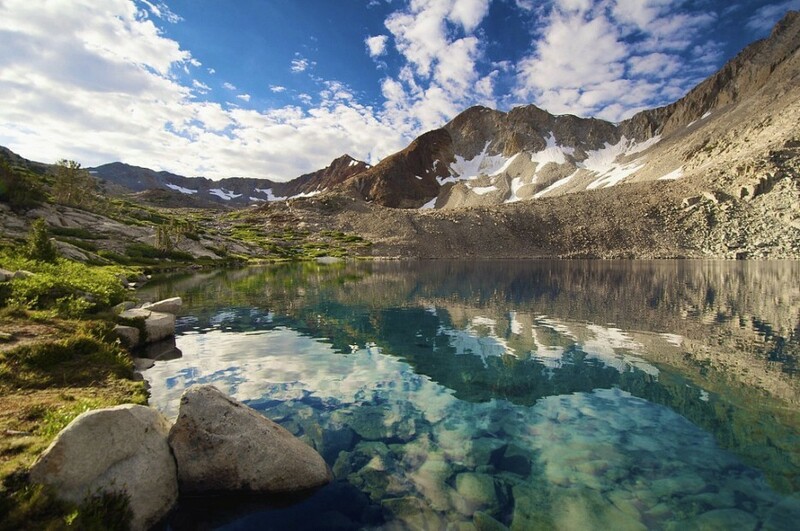 What an amazing way to cool down this summer. 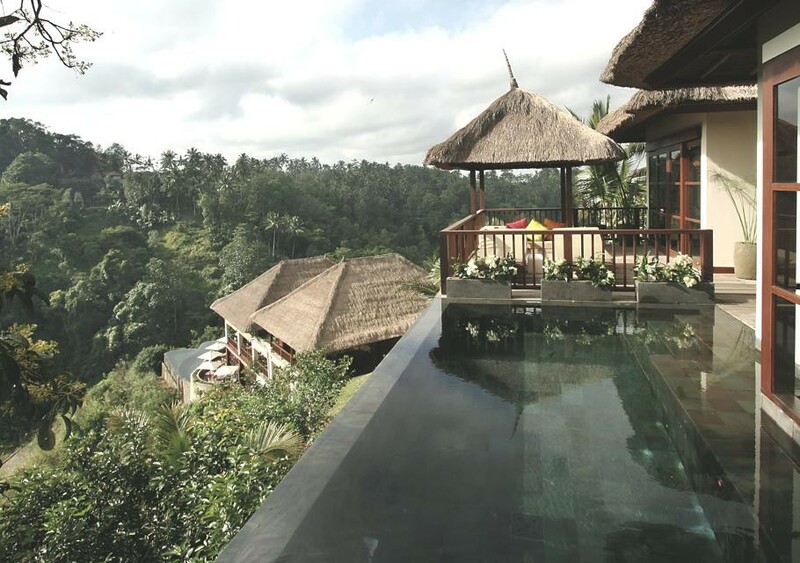 The Ubud Hanging Gardens Hotel is perched on steep rice terraces, with breathtaking views of the Ayung river gorge and the ancient Pura Penataran Dalem Segara temple. 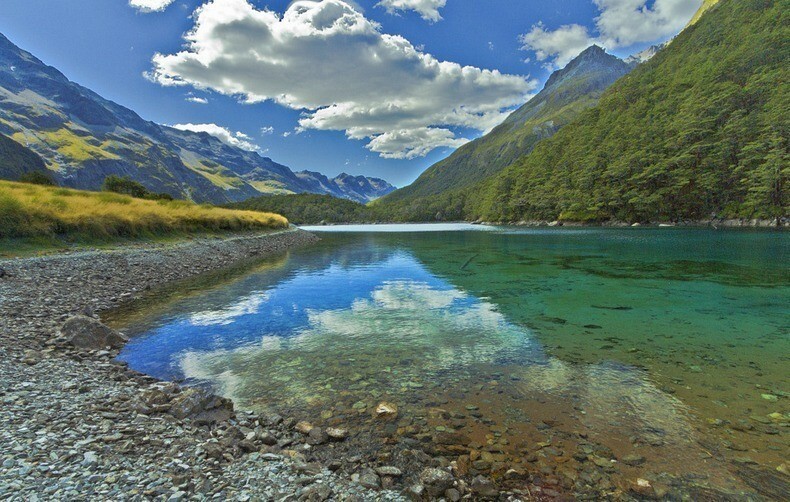 Its many pools hover over the magnificent gorge. 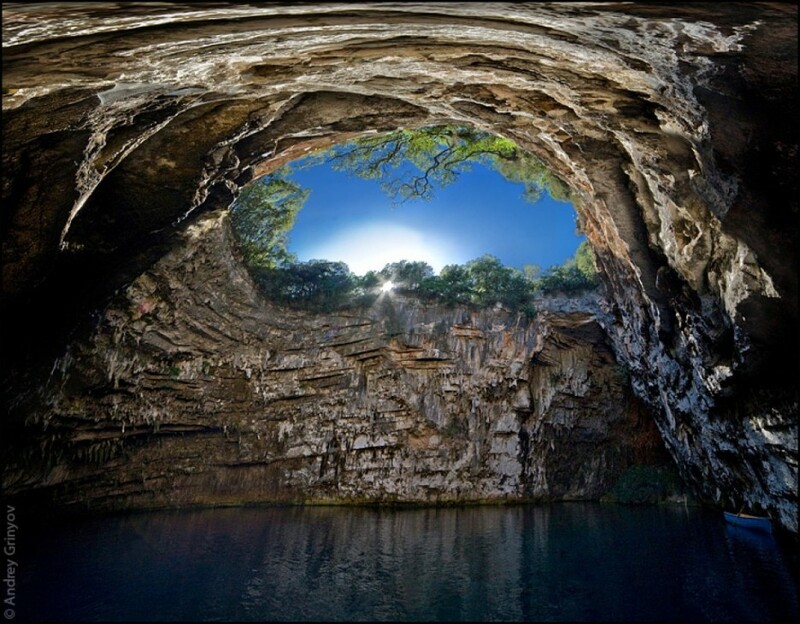 In Greek mythology, nymphs (female nature deities) inhabited this breathtaking cave and lured men in with their beauty. 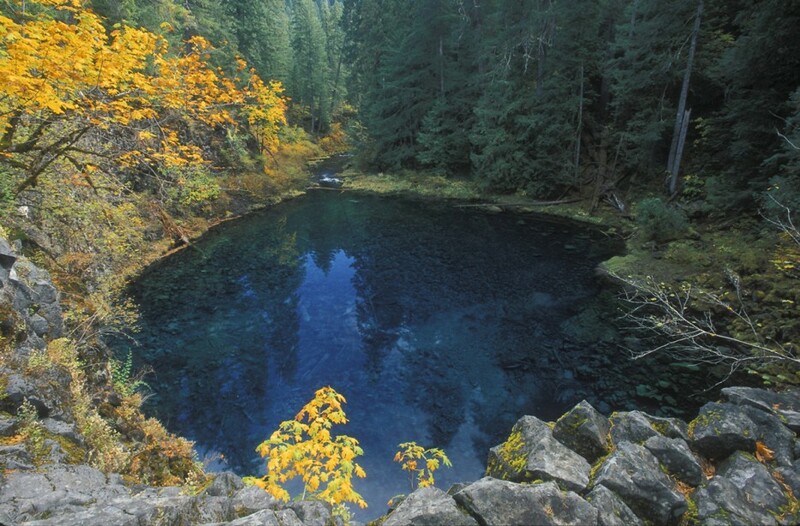 Under a high sun, the amazingly blue is illuminated for any lucky swimmers. 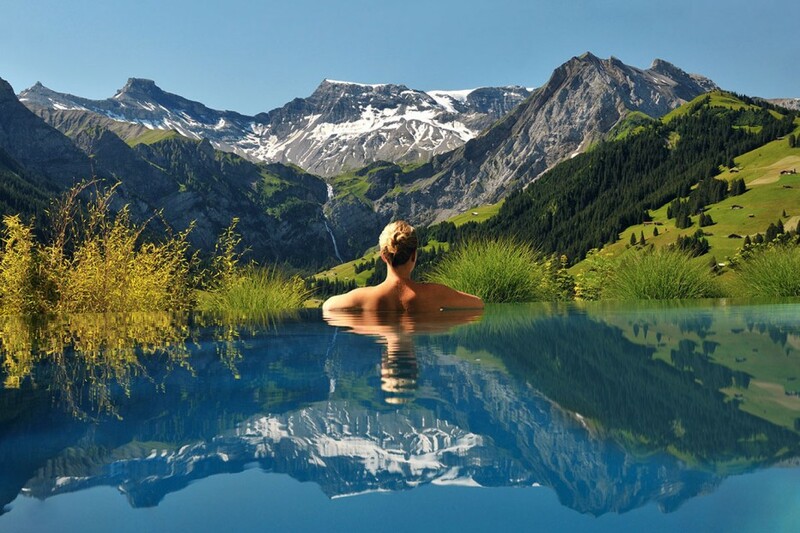 The Cambrian is situated in the pristine scenery of the Swiss Alps, with stunning mountain views in every direction and an infinity pool which looks over the immense valleys of this truly stunning landscape. 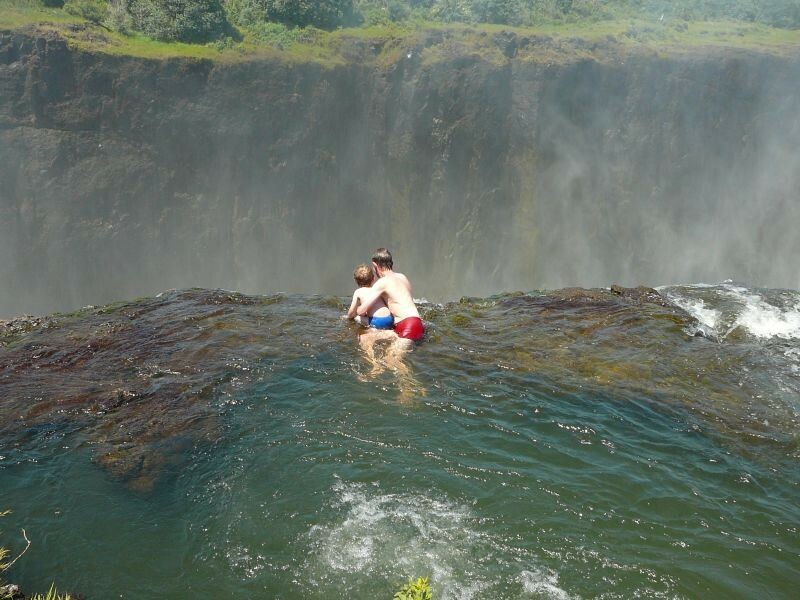 The Victoria Falls are over 350 feet high, and for most of the year they are powerful enough to sweep swimmers over the edge. 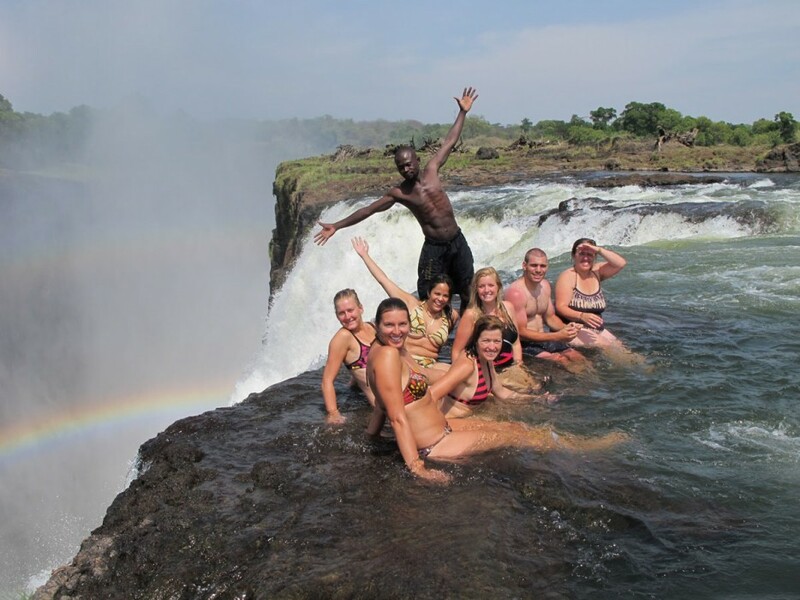 For a few weeks, the dry season lowers water levels and creates a natural barrier between you and a deadly drop called the Devil’s pool. 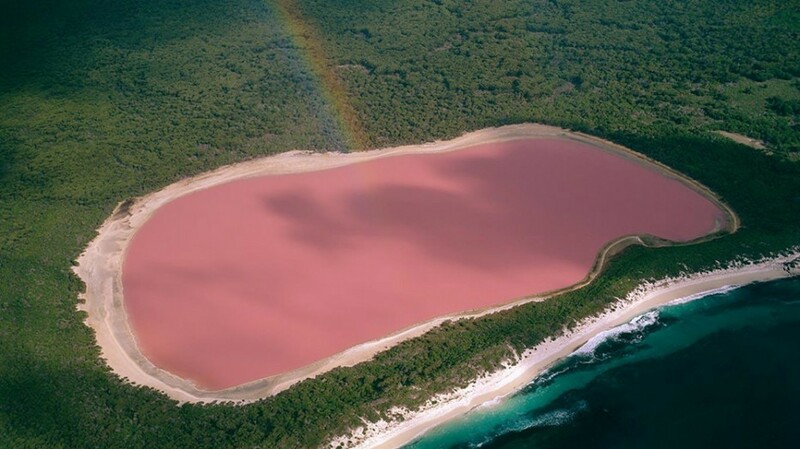 Take a swim, if you’re brave enough. 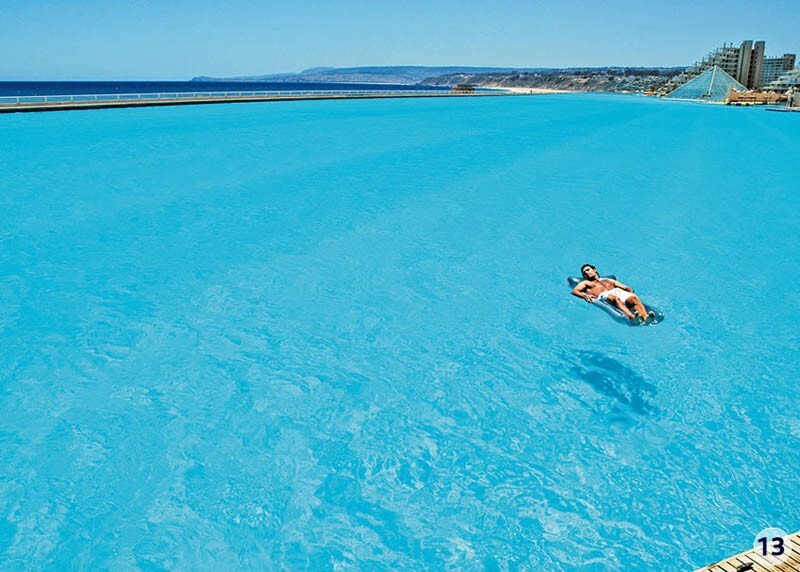 A boat-shaped infinity pool on the roof of this triple-skyscraper hotel joins the buildings together, with sections of the pool hovering over a 650 foot drop. 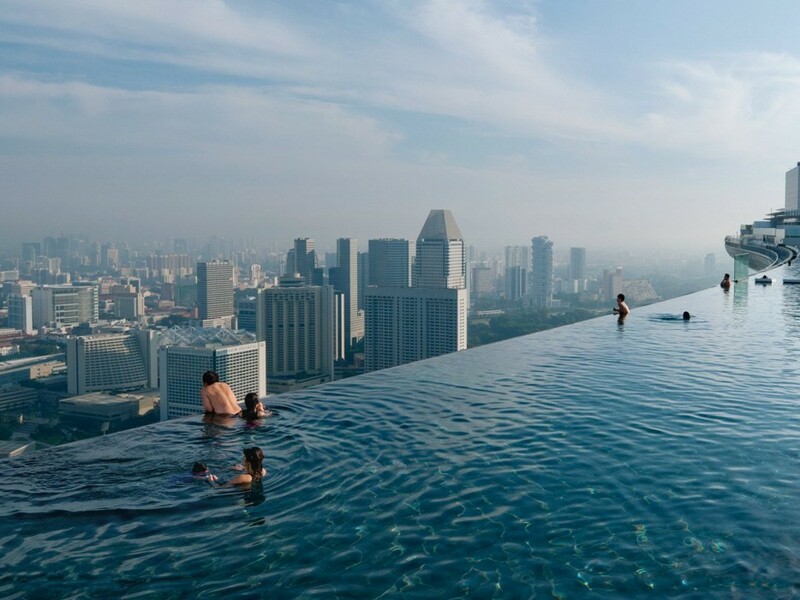 At 57 stories above the ground, swimmers have the most spectacular views of the Singapore skyline. 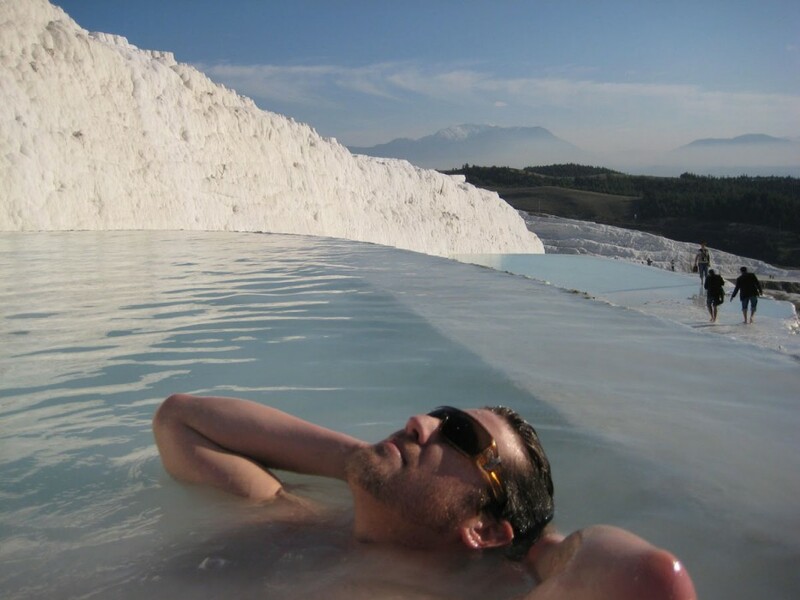 Over millions of years, the hotsprings in Pamukkale have transformed the landscape into a swimmer’s dream. 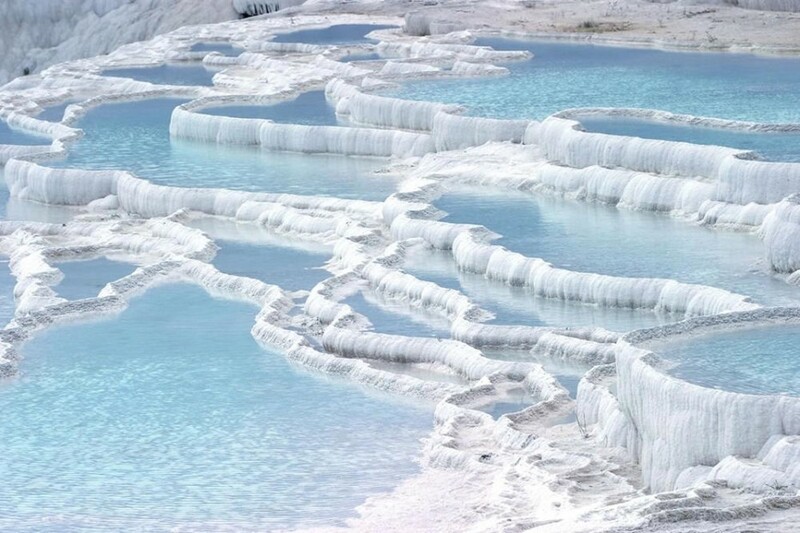 Although it may look like these terraces are made of ice and snow, the ground is coated in white limestone. 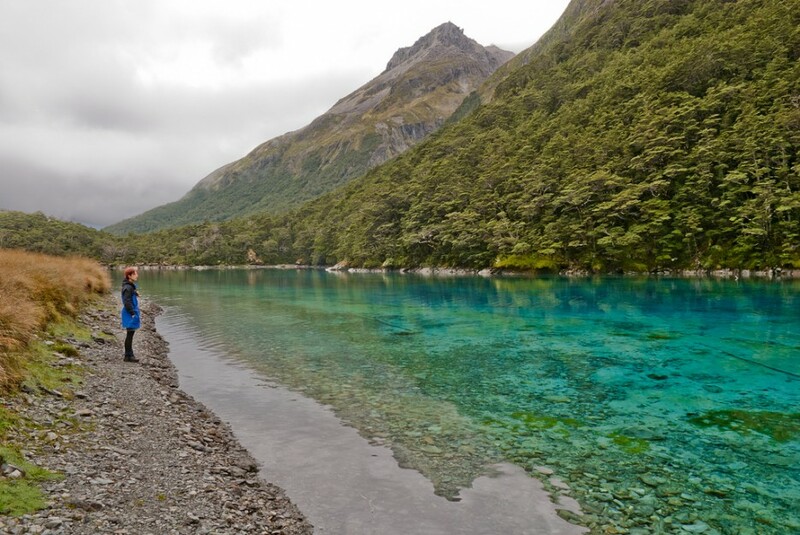 Blue Lake, on New Zealand’s South Island, has the clearest natural water in the world. 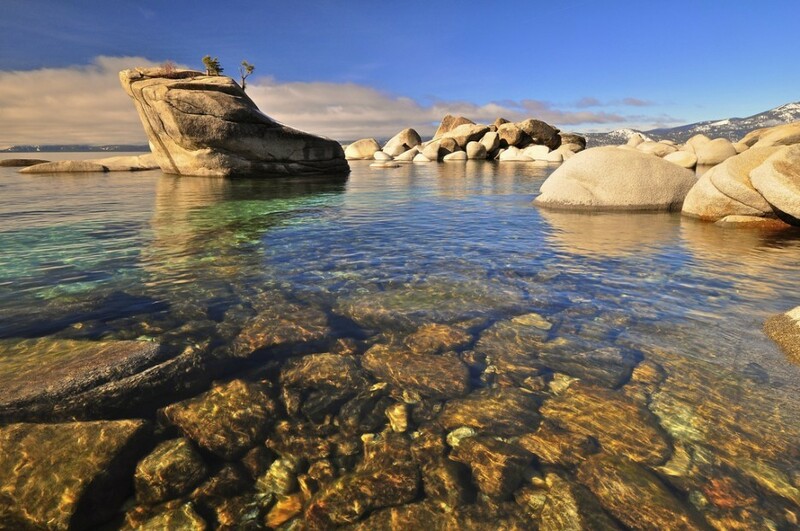 With a visibility of 250 feet, and because it is naturally replaced every 24 hours, the lake is almost as clear as distilled water. 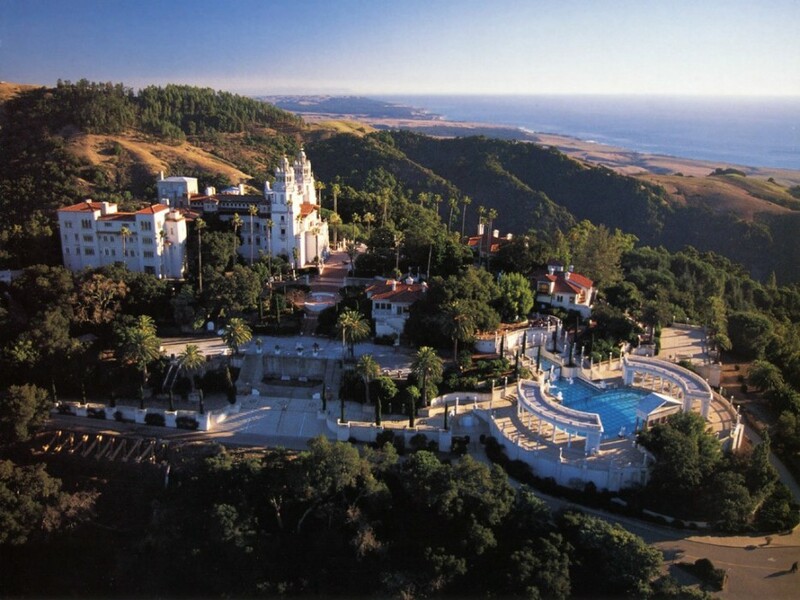 Hearst Castle was designed by Julia Morgan between 1919 and 1947 for William Randolph Hearst in the enchanting hills of San Simeon, California. 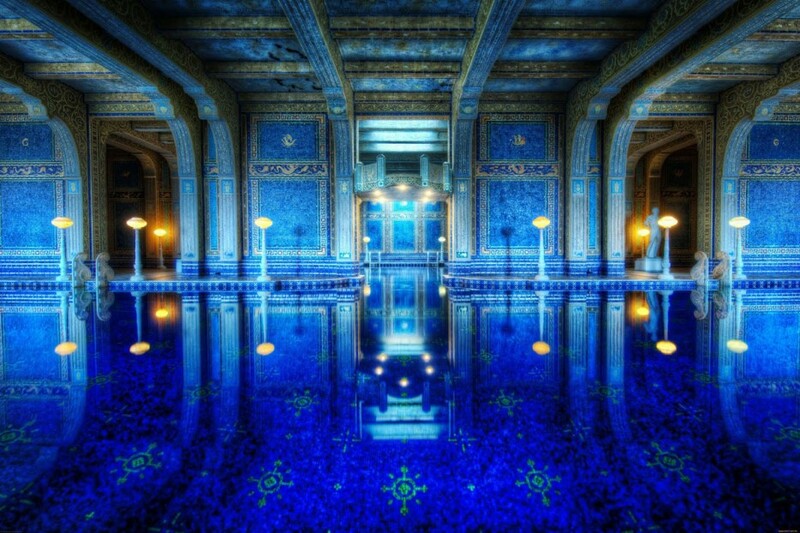 The castle’s pools have played host to the likes of Charlie Chaplin, Charles Lindbergh and Winston Churchill. 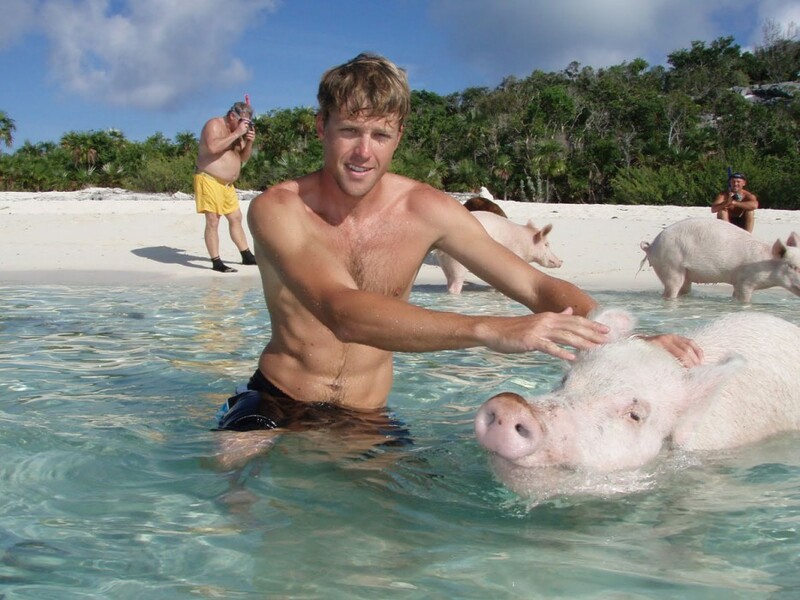 The pigs on this tropical island, although not native, have adapted rather well to island life and become amazing swimmers. 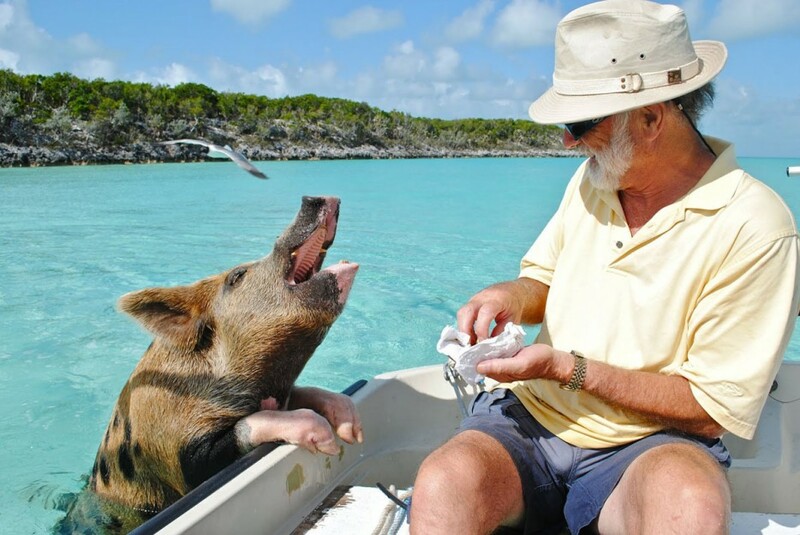 In exchange for a few treats, they’ll allow you the honor of swimming with them. 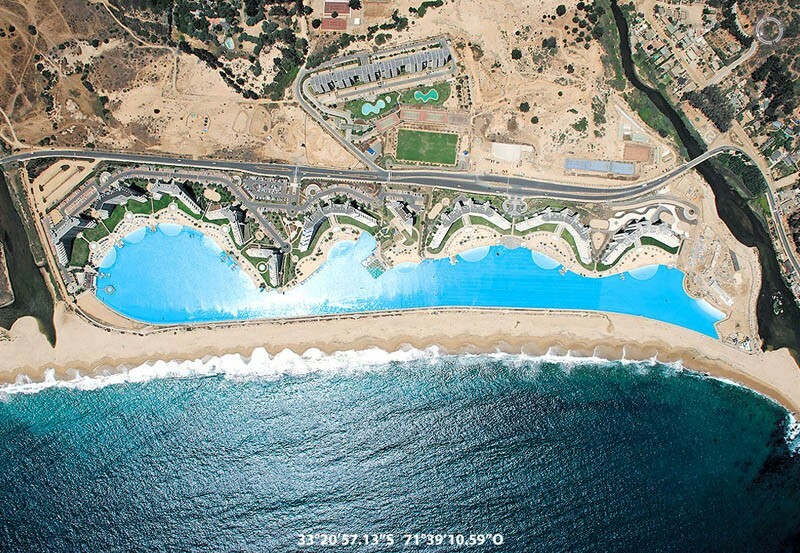 At the size of 20 Olympic-size swimming pools in length, and holding 66 million gallons of water, the San Alfonso del Mar pool is the largest in the world. 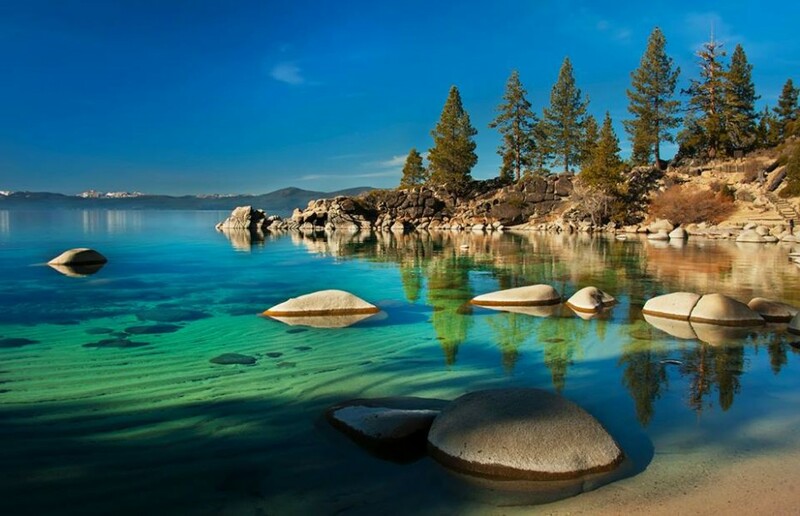 The crystal clear waters are actually from the ocean, with a filtration system removing any impurities. 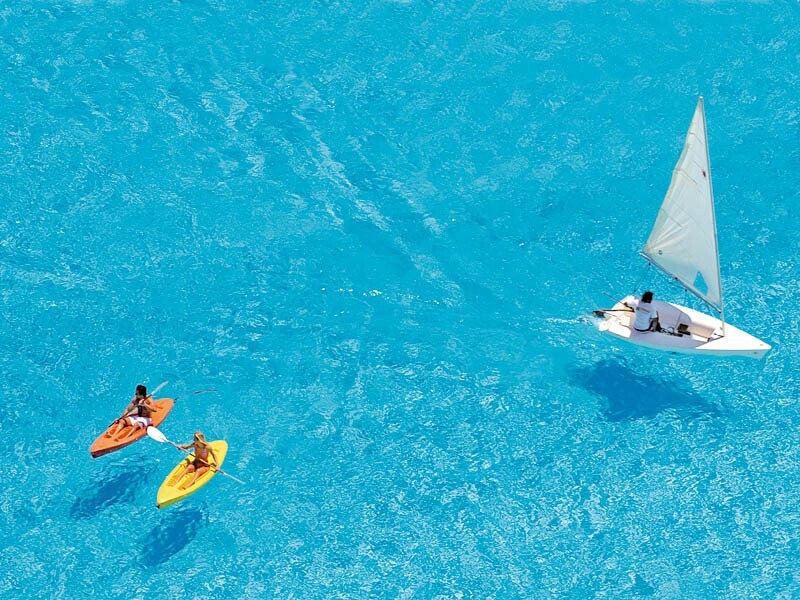 The monumental size of the pool means that visitors can sail or paddle rather than swim. 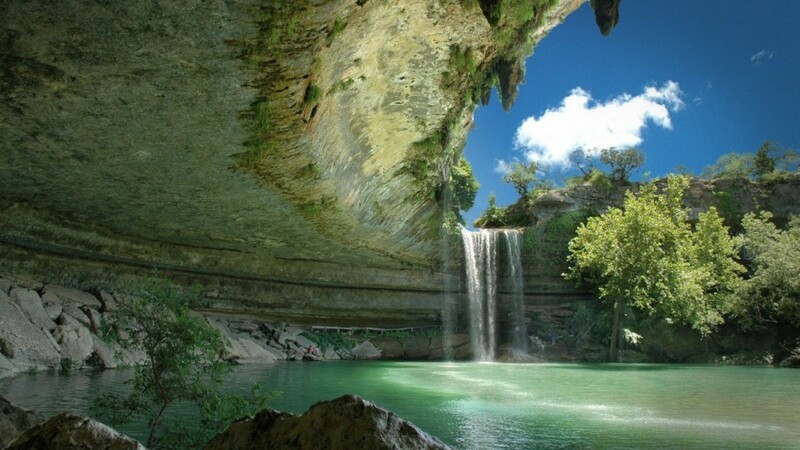 The Hamilton pool was once entirely underground, but after thousands of years of erosion, the roof collapsed and the magnificent reservoir was opened to the world. 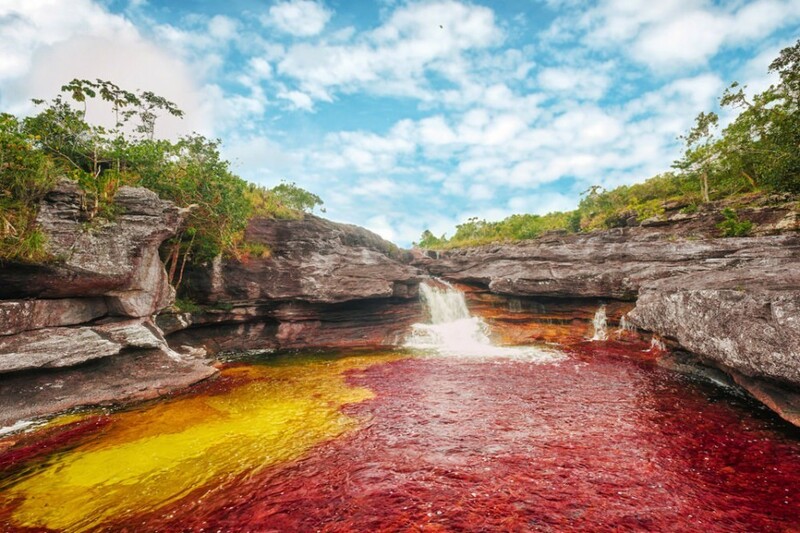 When water is at its highest, waterfalls spill down into the pool. 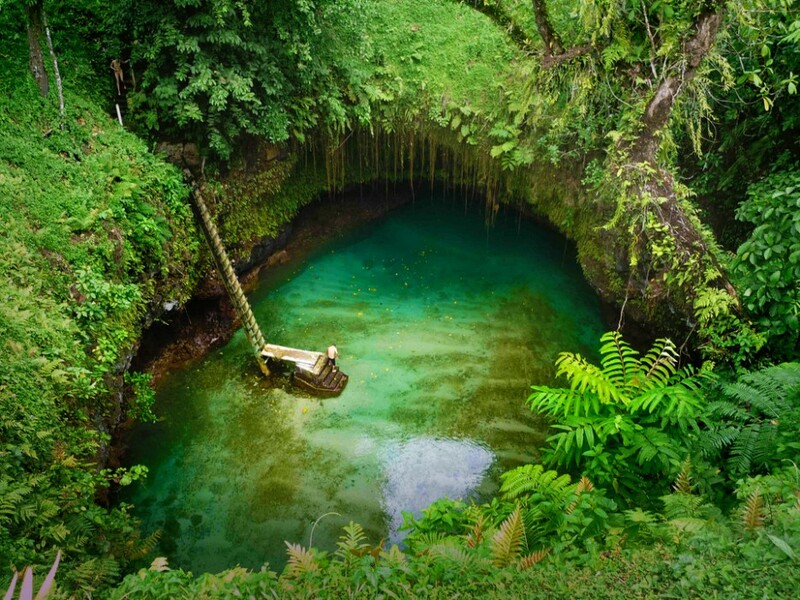 This swimming hole in the middle of a lava field and dense jungle is definitely worth the 100 foot descent into its waters. 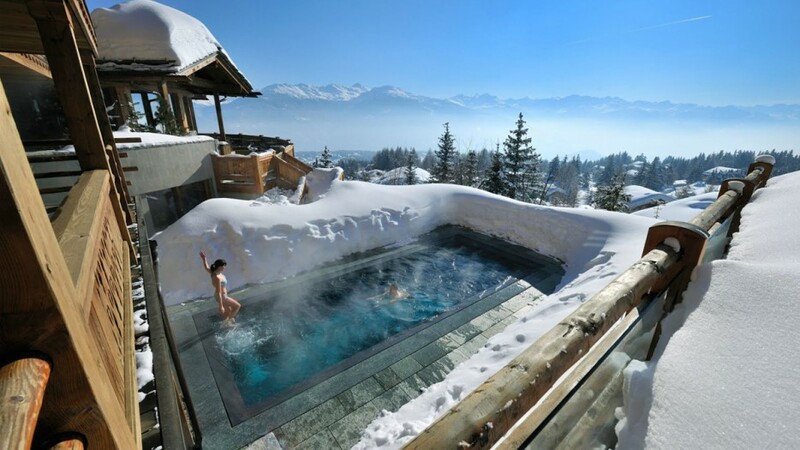 This small, luxurious hotel is perched in the mountainside above Crans Montana. 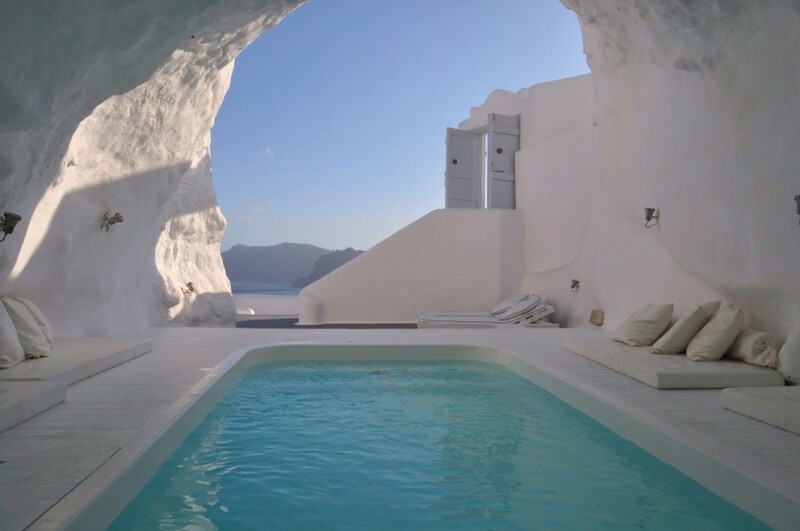 Once you vacate the cold for one of their heated pools with a view, you won’t want to ever leave. 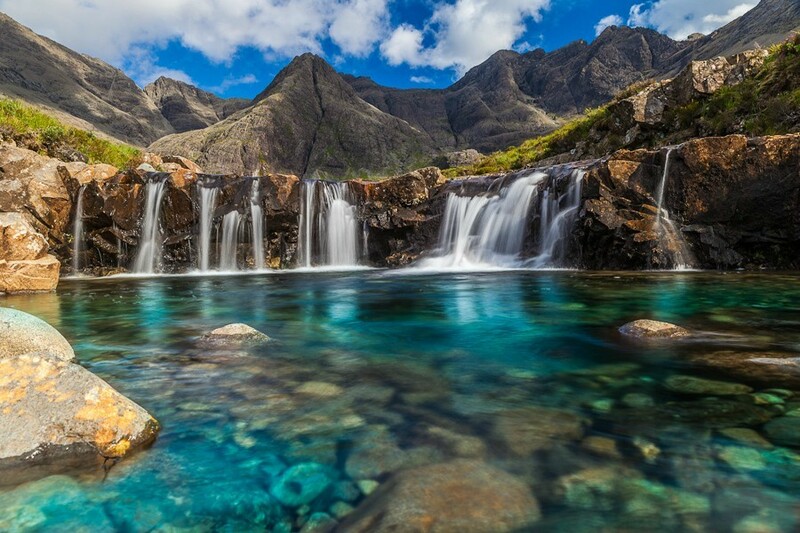 Etched into the jagged landscape of the Isle of Skye are the Fairy Pools, named so because the sparkling water seems so magical. 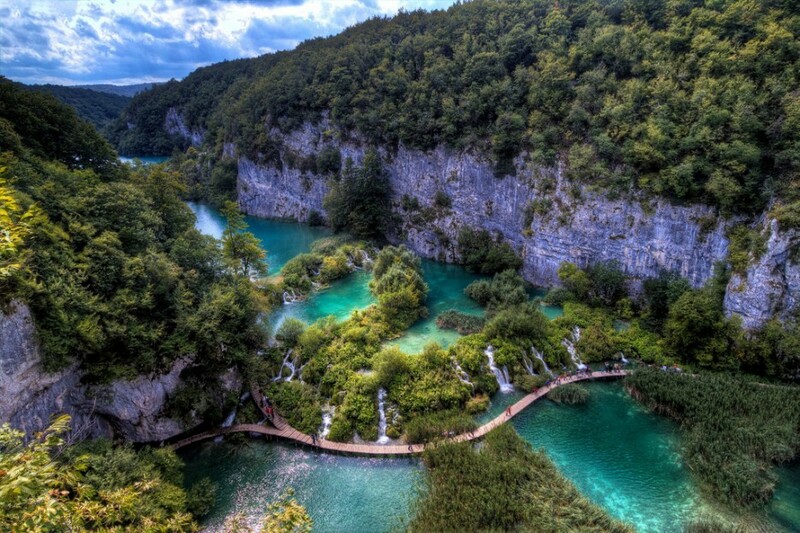 Plitvice National Park is the largest of its kind in Croatia and the oldest in Southeast Europe. 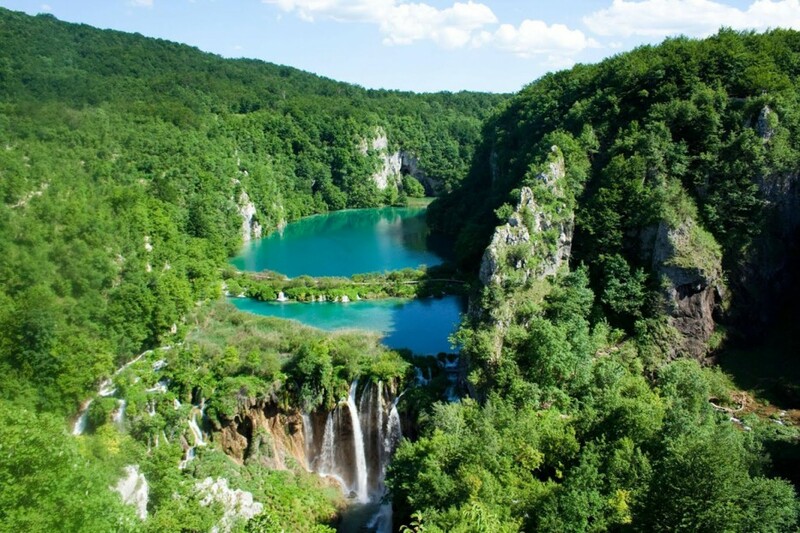 Over thousands of years, water flowing over limestone and chalk created natural dams and eventually, beautiful lakes, caves and waterfalls – all ripe for swimming. 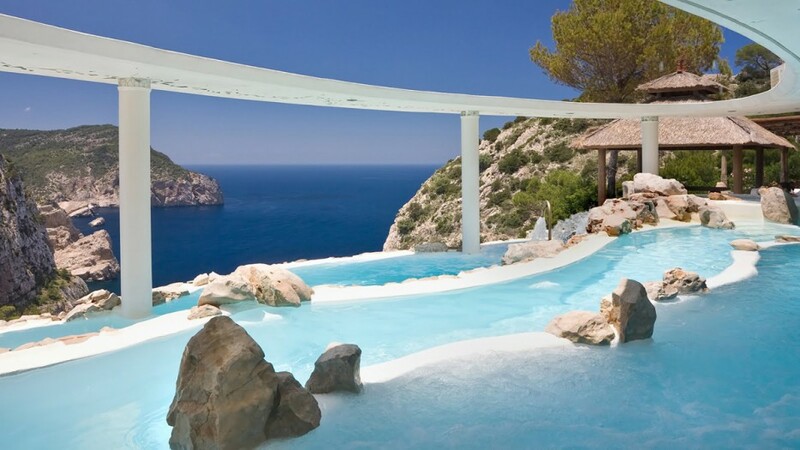 Perched on the cliffs outside of Port de Sant Miquel, this pool, which overlooks an incredible bay, is fit for any Greek god or goddess. 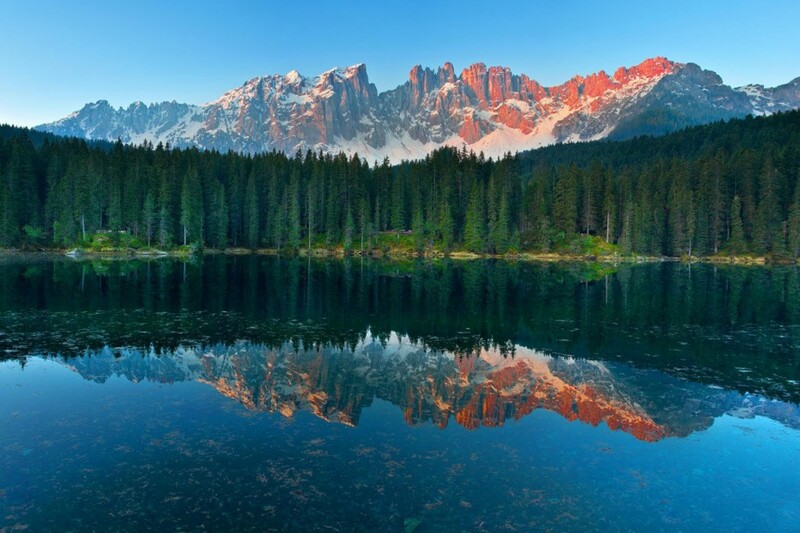 Lake Carezza is a beautiful pearl of the wild Dolomites. 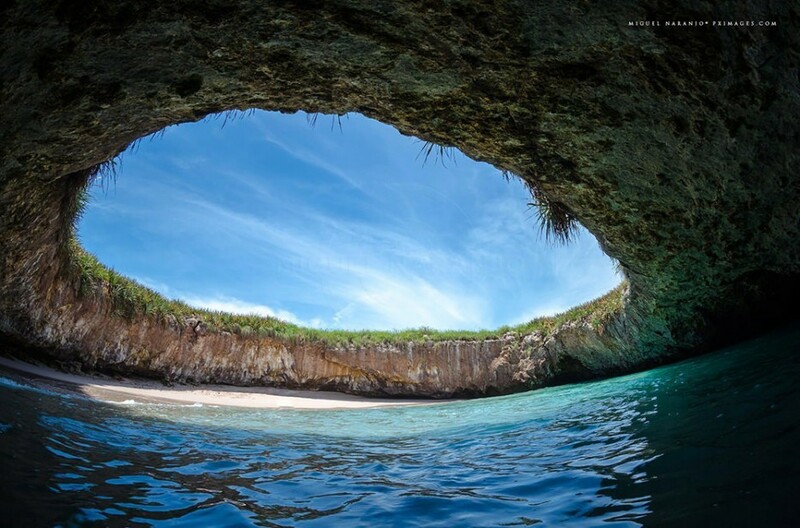 Hidden between an ancient forest and Latemar mountain, swimmers should beware of the legendary nymph which is said to hide in the emerald waters. 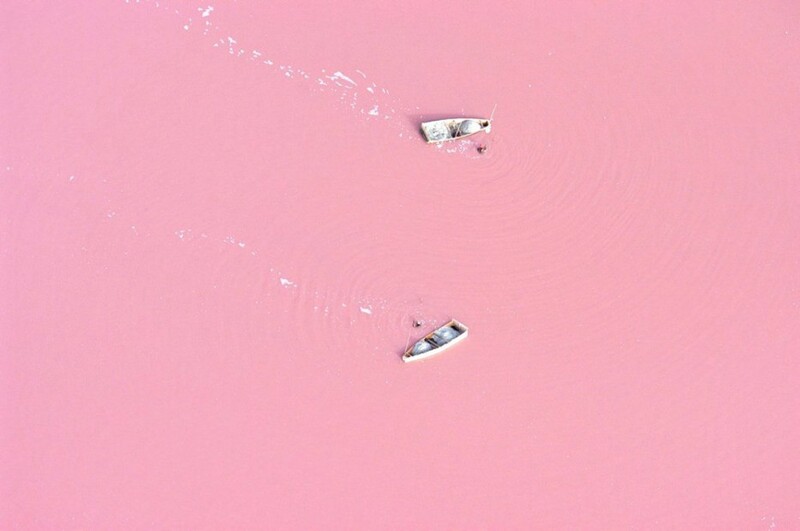 In the winter months, this lake is completely frozen over. 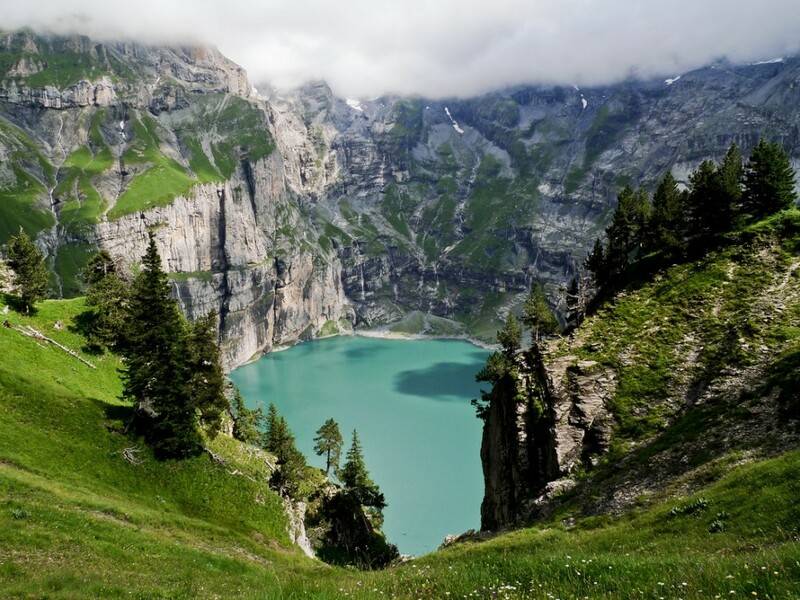 But during the summer, mountain creeks feed into this natural reservoir in the middle of the vast and mountainous Oeschinen valley. 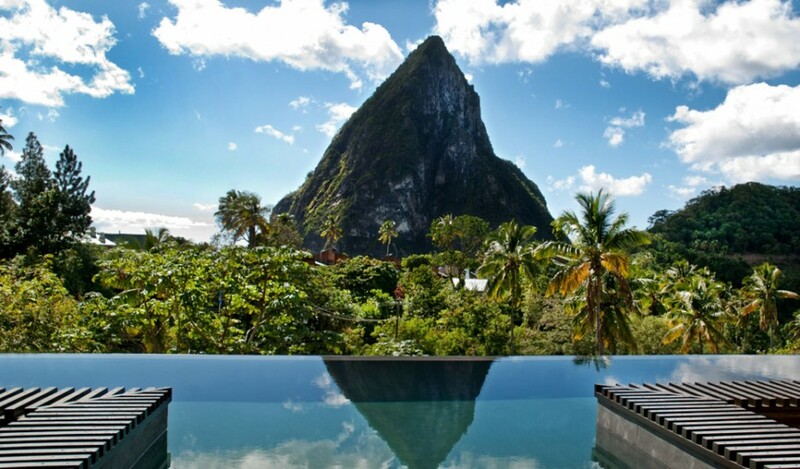 The infinity pool at this beautiful island resort overlooks the Pitons, two volcanic mountains which dominate the quaint cocoa plantations which surround them. 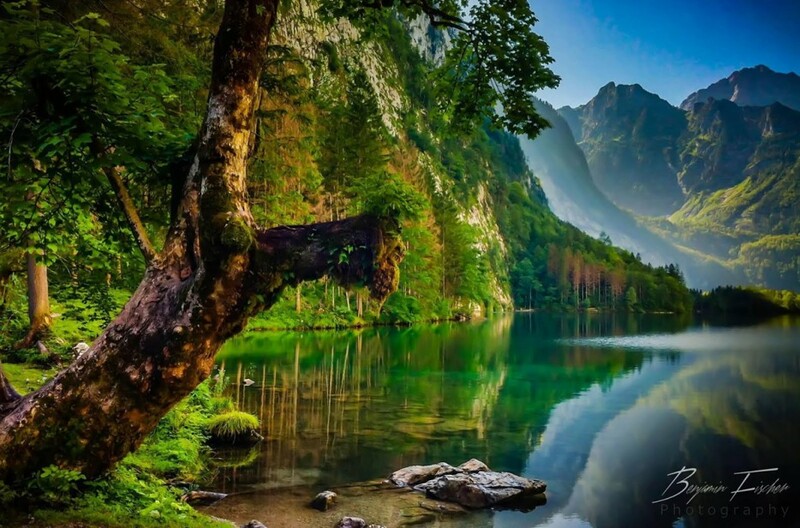 Königssee is set in the rugged hills of Bavaria and is famous for having the cleanest water in Germany. 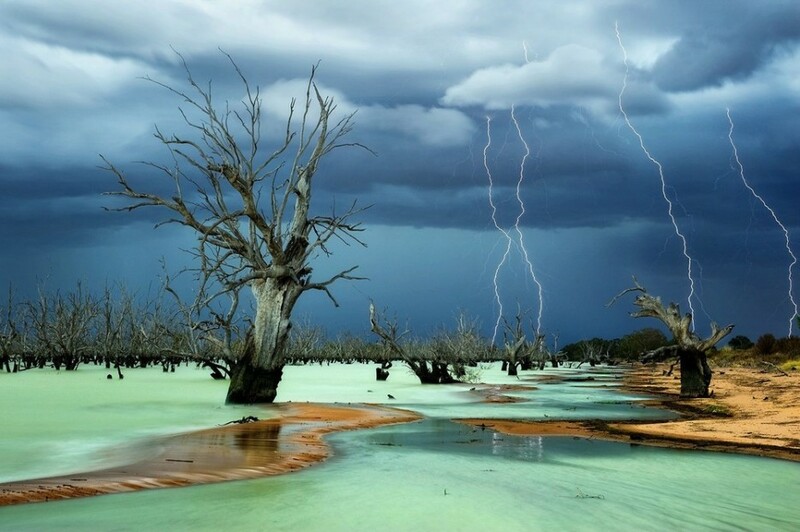 The Far West of New South Wales is mostly arid, except for the Menindee Lakes, which attract wildlife from across the surrounding area. 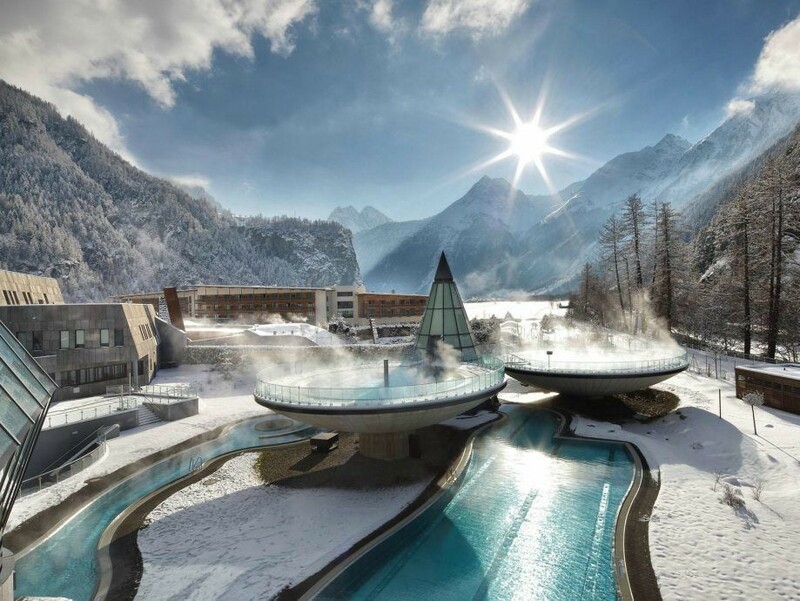 This wellness resort is situated 21,000 ft in atop the Alps and surrounded by 100 miles of ski slopes. 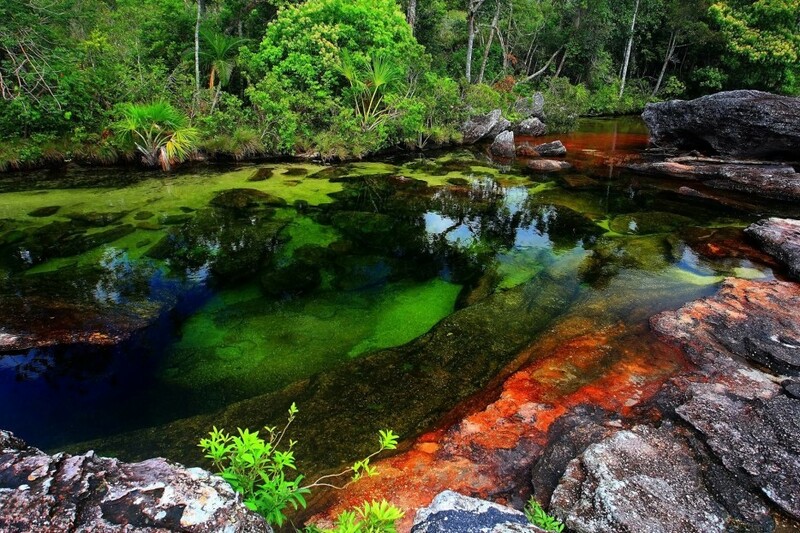 The hotel offers luxurious spas with hot water drawn from a huge underground thermal spring. Sunsets from the three open top bowl pools are absolutely breathtaking. Occupying the top levels of this massive skyscraper, the Ritz Carlton is the highest hotel in the world, offering amazing views of the city. 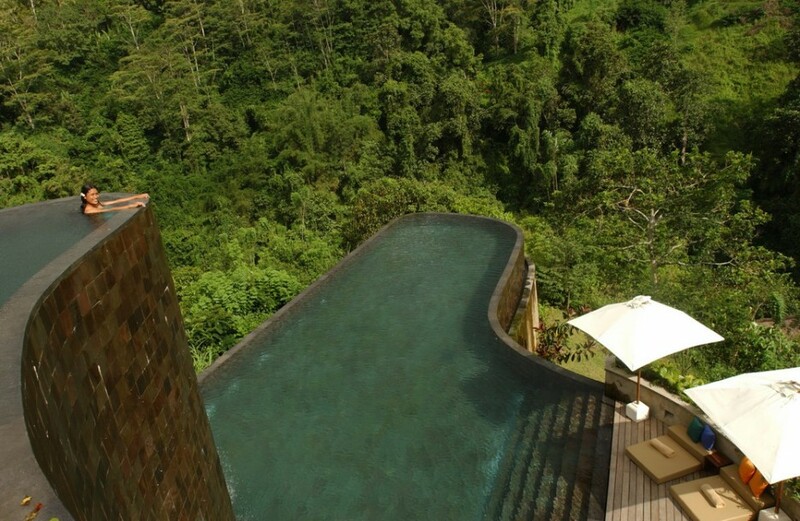 At 118 floors up, its pool is the highest a pool has ever dared to go.